When asked if Hibbert would be benched next year as Indiana pushes for a quicker pace, Vogel responded: “Yeah, potentially. 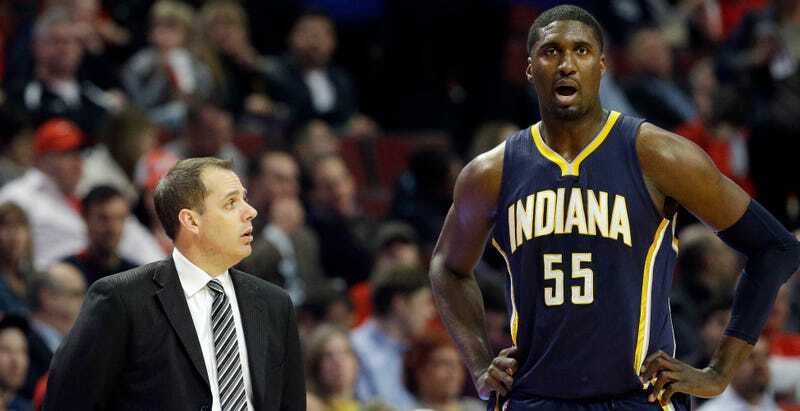 Unfortunately for Hibbert, this isn’t just a problem with the Pacers. Which team in the league could he realistically fit into? The Memphis Grizzlies? The Utah Jazz? When the Pacers matched the Blazers max contract offer for Hibbert back in 2012, the full extent of the Houston Rocket-ization of the NBA wasn’t understood, but it is now. His defense is good enough that he’ll remain in the league for quite awhile, but likely without a max contract or the key role on a championship-contender. He needed to have been born 20 years earlier.